From an award-winning toner that has been sold out everywhere, to the cleansing oil that clean beauty lovers can’t get enough of, check out five K-beauty products that are all the rage in Seoul. Earlier this month I made my annual trip to Seoul, South Korea where I scoured the streets of the best shopping districts for the hottest new skin care products and ingredients. Often, products that are super popular there, haven’t yet made it to the States, so I was excited to find out what products are making waves on the other side of the world. That’s why I spent my week in Seoul visiting loads of different shops, chatting and shopping with my local, in-the-know friends, and speaking with salespeople about their best-selling products of the moment. I may have come back with an entire bag of things I purchased, but there are a few hot-button items in particular that caught my attention. Read on below to get the inside scoop on what’s trending in K-beauty. Clean beauty has been big in Korea for a while, but it’s becoming even more popular now. Loads of brands are reformulating old classics and releasing new lines to fit the needs of those of us who like our products to be as minimal and safe as possible. 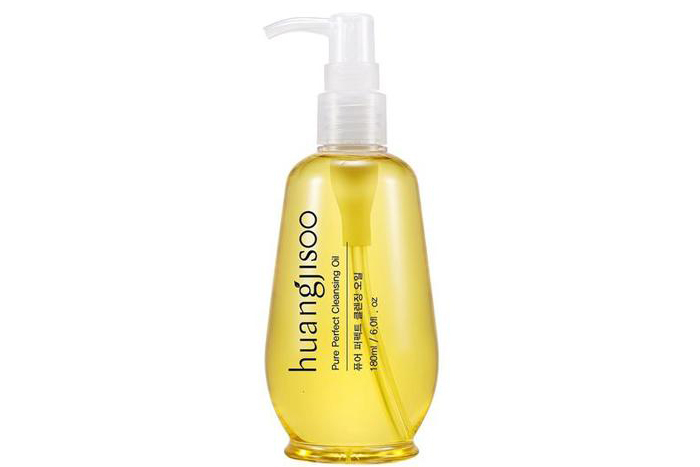 One of the current trending products that fits squarely into this category is the Huangjisoo Pure Perfect Cleansing Oil. It’s formulated with a combination of eight high-end oils including jojoba, green tea, bitter orange, and evening primrose oil. The ingredients list is quite short otherwise (just ten in total), and all of them are ranked extremely safe by the EWG Skin Deep Database – one of the forefront monitors of clean beauty. This product is also trending on Hwahae, one of the most popular ingredient-checking apps in Korea. Vely Vely, a brand founded by famous Korean actress and model Im Ji Hyun, has been picking up steam for its makeup, especially its cushions, for a little while now. But this essence is one of the brand’s first skin care products to really take off – and it’s easy to see why. It’s made with artemisia, AKA mugwort – a seriously potent and effective ingredient. It has clarifying and antibacterial properties to help even out skin tone, and it also contains vitamin E to strengthen and hydrate the skin. This formula’s delivery of artemisia is particularly effective due in part to its purity and concentration. However, what really sold me on this product is its consistency; it’s just watery enough and just viscous enough, it sinks into the skin immediately and leaves it feeling soft, refreshed, and hydrated. It has incredible results on the skin – the moment I tried it I realized why it’s flying off the shelves at every Olive Young store I visited. 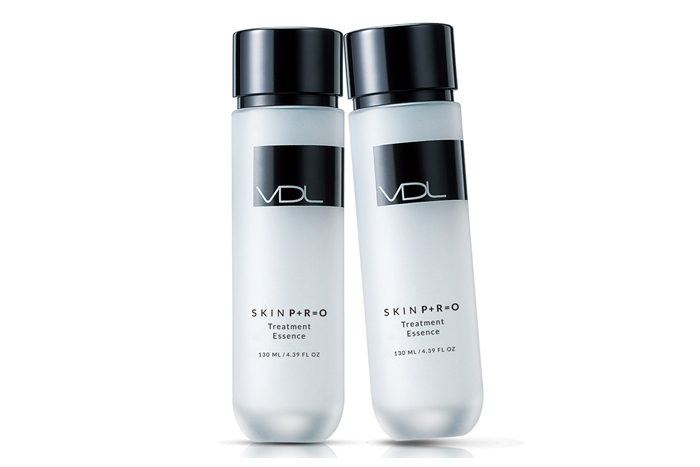 Another brand known for makeup that’s now making great skin care products is VDL. A highlight of the collection is the P+R=O Treatment Essence. 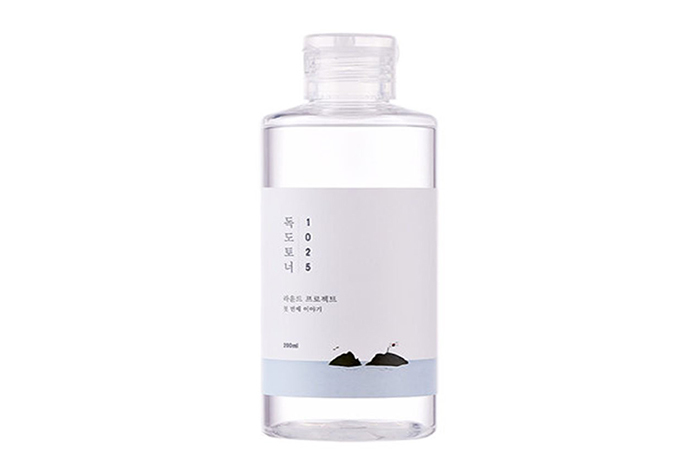 We all know Korean beauty is all about hydration, and this product is a hydration powerhouse. It’s formulated with eleven different moisturizing ingredients that all leave your skin supple and silky-smooth. To top it off, it contains ceramides to strengthen the skin barrier, and centella asiatica to ease inflammation. Another product that caught my eye was the 3CE White Milk Lotion, thanks in part to its irresistible blue packaging. When I visited the StyleNanda Pink Pool Café, an Instagrammable cafe owned by the brand, there was a whole section dedicated to the new Milk skin care line, and people were buzzing about it. In terms of ingredients, the most effective to me seems to be the White Milk Lotion. It’s formulated with milk protein and niacinamide to brighten the skin, ceramides to strengthen, vitamin E for its potent antioxidant effects, and cacao seed butter for a heavy dose of hydration. To be honest, this toner has been trending for about a year (it was already a HwaHae 2018 Beauty Awards winner), but this trip was the first time I had heard about it – and it’s still selling out everywhere. It has an incredibly clean and simple ingredient list, with its star ingredient being protease. Protease is a potent enzyme that exfoliates and promotes cell regeneration, leaving skin clearer and smoother. It is combined with allantoin and glycerin to moisturize and soothe the skin. The formula is incredibly effective, and leaves the skin with a noticeable glow. Its popularity is undeniable, as finding this product in stock anywhere was a serious struggle – even in the most popular shopping districts in Seoul. +Which of these products do you want to try the most? Tell us in the comments below!